Providing a wide array of civil engineering services. 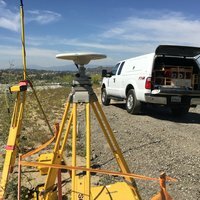 Using state-of-the-art equipment and knowledgeable staff to provide land surveying services. Providing reliable services in construction: Management, Administration, Observation and Inspection. Establishing effective relationships with City Staff to perform a variety of tasks related to engineering, coordination, permit management, utility coordination, etc. 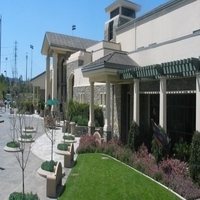 CNC Engineering, with offices in Irvine and the City of Industry, was established in 1984 and throughout the years has built a creditable reputation for delivering a quality product in the areas of civil engineering, land surveying, construction and city services. We work to provide reliable, efficient and innovative professional services to our clients and the communities we serve throughout southern California by maintaining a commitment to our vision and values: Exceed today what people will expect tomorrow. CNC has provided public works infrastructure and facility design services throughout southern California since its founding over 30 years ago. 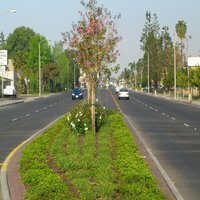 In just the last ten years alone, the CNC project team has been responsible for the design of over 50 miles of street and utility improvements throughout Los Angeles and Orange counties. With an experienced team and vast project experience, CNC continues to provide its clients with quality work. CNC Engineering is certified as a Minority Owned Enterprise (MBE – City of Los Angeles), a Small Business Enterprise (SBE – California), and Community Business Enterprise (CBE – County of Los Angeles). 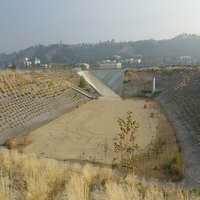 Our qualified team includes California licensed engineers and land surveyors as well as certified Qualified SWPPP (Storm Water Pollution Prevention Plan) Developers and Practitioners (QSD/QSP), Certified Stormwater Inspectors (CSI), Qualified Industrial Stormwater Practitioner (QISP), LEED Green Associate and Envision Sustainability Professional (ENV SP).